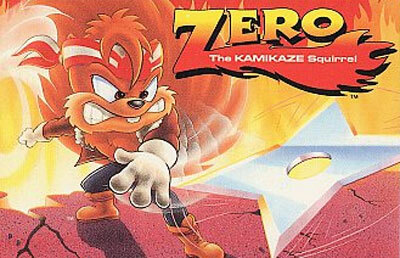 Zero the Kamikaze Squirrel is a spin-off of the Aero the Acro-Bat series. Zero receives a note from his girlfriend Amy that an evil lumberjack is destroying his homeland. Zero, despite the protests not to do it from Edgar Ektor, decides to return home and stop him.